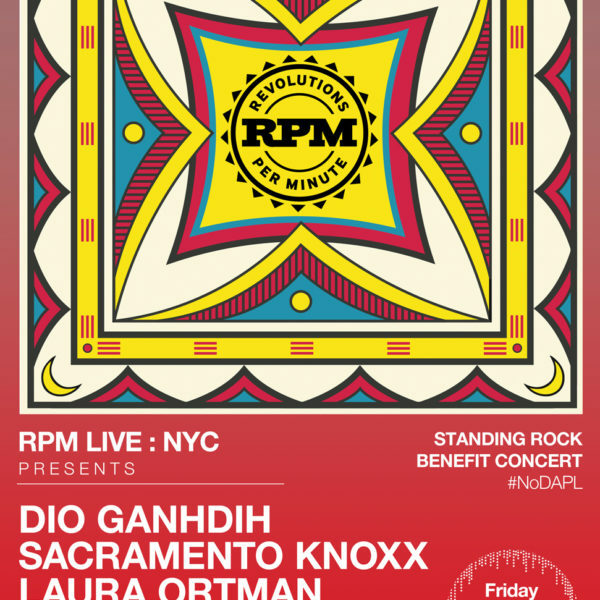 Revolutions Per Minute is bringing #RPMLive to NYC this December to support the #NoDAPL movement and Standing Rock. 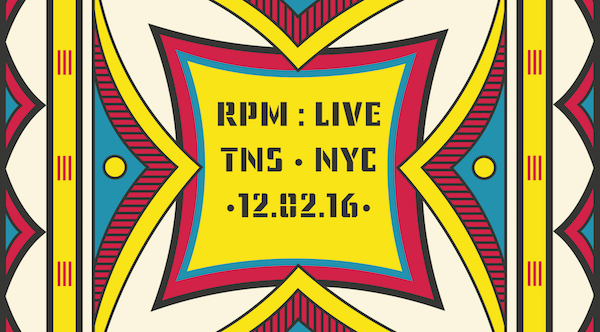 After an amazing fall season of sold-out shows in Tkaronto, we are pleased to bring #RPMLive to New York City for a special concert. Please join us for two amazing events on Friday, December 2nd, 2016. 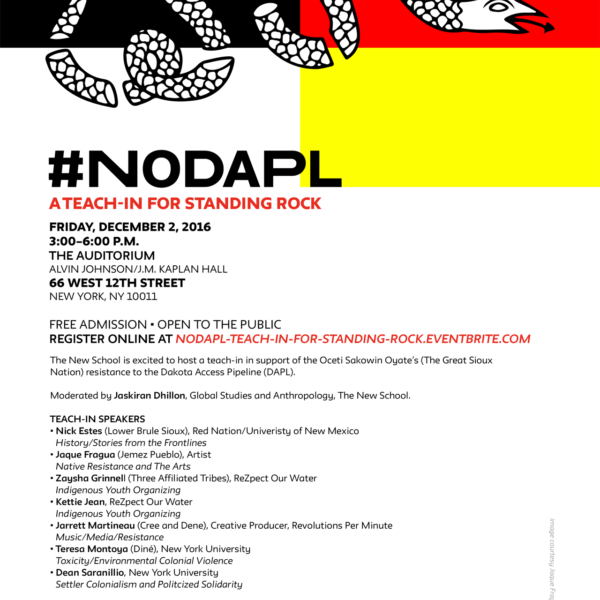 From 3-6pm, there will be a #NoDAPL teach-in on Standing Rock at The New School in The Auditorium at 66 West 12th Street. 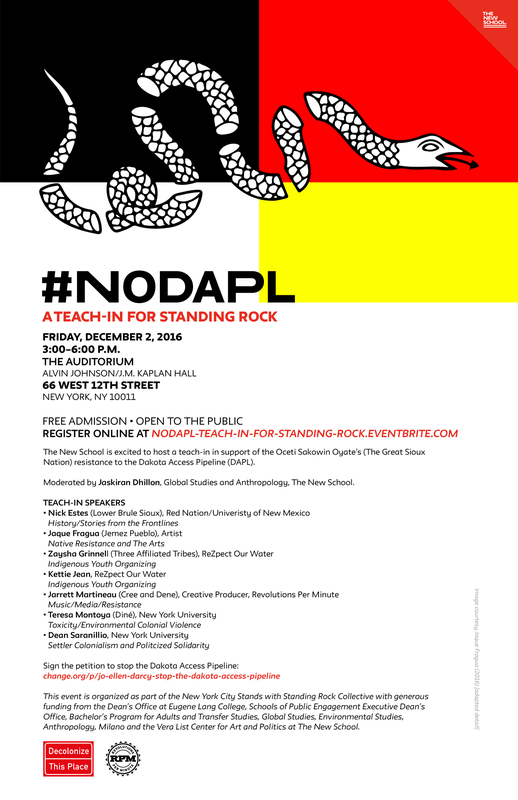 The event will feature amazing youth organizers, scholars, artists, and media makers — Nick Estes, artist Jaque Fragua, Zaysha Grinnell, Kettie Jean, RPM’s Jarrett Martineau, Teresa Montoya, and Dean Saranillio — to discuss their active involvement and opposition to the Dakota Access Pipeline. RSVP here. 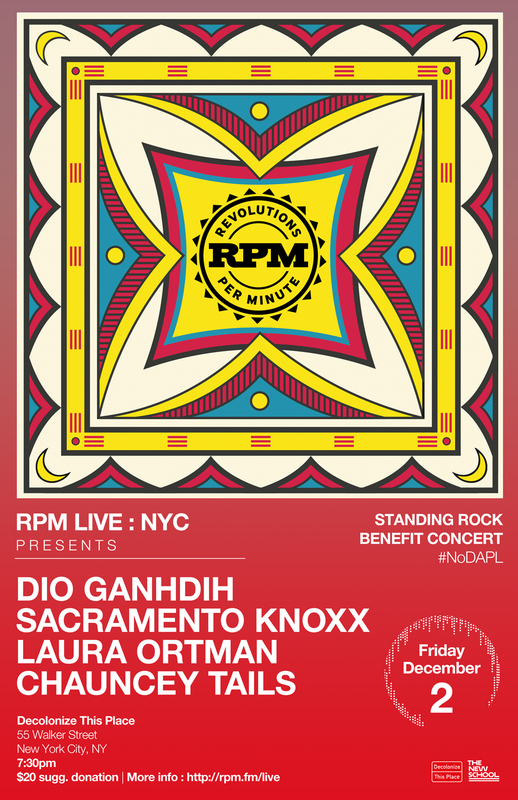 Following the teach-in, RPM is pleased to present RPM Live : NYC—a benefit concert for Standing Rock—that will be held at Decolonize This Place. 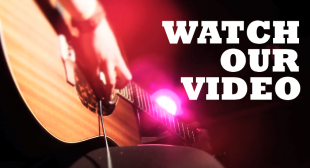 Admission is by donation with all proceeds going to #RezpectOurWater and the Standing Rock Sioux Nation. RSVP here. 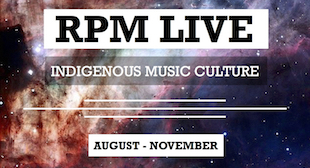 Join us for this special evening of Indigenous music, reoccupying the island of Manahatta in the name of Indigenous resistance, survival, and decolonization.